When it comes to cars delivery in Australia, brokers or carriers? Due to hectic schedules, may it be appointments and business meetings that you need to attend when there is no room for doing other tasks such as moving to another side of the state, how stressing that is. Even if you give it time, still, it is exhausting to do, more if you need to travel a hundred miles, or farther. Why worry when there are available car transport service providers to do this job for you? But to whom should you reach out to? To a broker, or directly to a carrier? Rating system. Most of the brokers have a rating system of their prospected carriers to ensure that they will be using the best for their clients. Reinforcement. If a truck fails to pick up or deliver your vehicle, a broker can have another truck as a replacement without extra cost. Rates and dates unguaranteed. Car transport brokers can’t provide an unconditional guarantee on dates and rates, and instead give estimates. However, these are still in need of confirmation from carriers. Save broker fee. Carriers may save you a broker fee. Licensed and insured. In the industry of cars delivery in Australia, carriers are required to be licensed and insured. This to provide customers guide in hiring a carrier. Confirm pickup and delivery dates. Compared to brokers, carriers are better at validating dates of pickup and delivery. Insurance coverage. If the vehicle is damaged, car transport carriers have insurance coverage, if not all, in order to settle such issue with a client. Whichever you choose, it depends on the brokers’ or carriers’ availability, and that you have easy access to them. Nevertheless, they can coexist and work together in providing quality services. How about you? Which do you think is best? 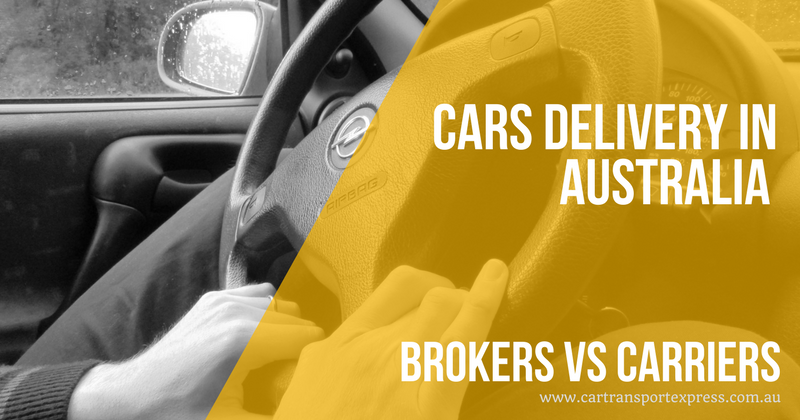 Brokers or carriers of cars delivery in Australia?